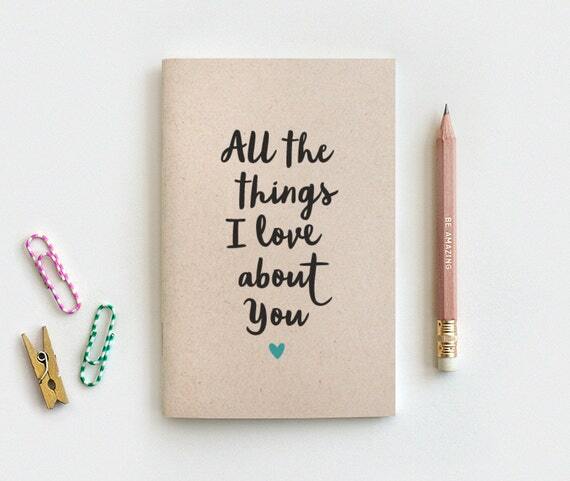 All the Things I Love About You, Handcrafted Notebook & Pencil Set. Such a cute way to let your significant other know all the reasons you love them! 3 size options -- mini, large or Midori travelers insert w/ blank, lined or dot grid inside pages.Wonderful stocking stuffer, Valentines Day gift, anniversary gift, or just because. Ready to gift!